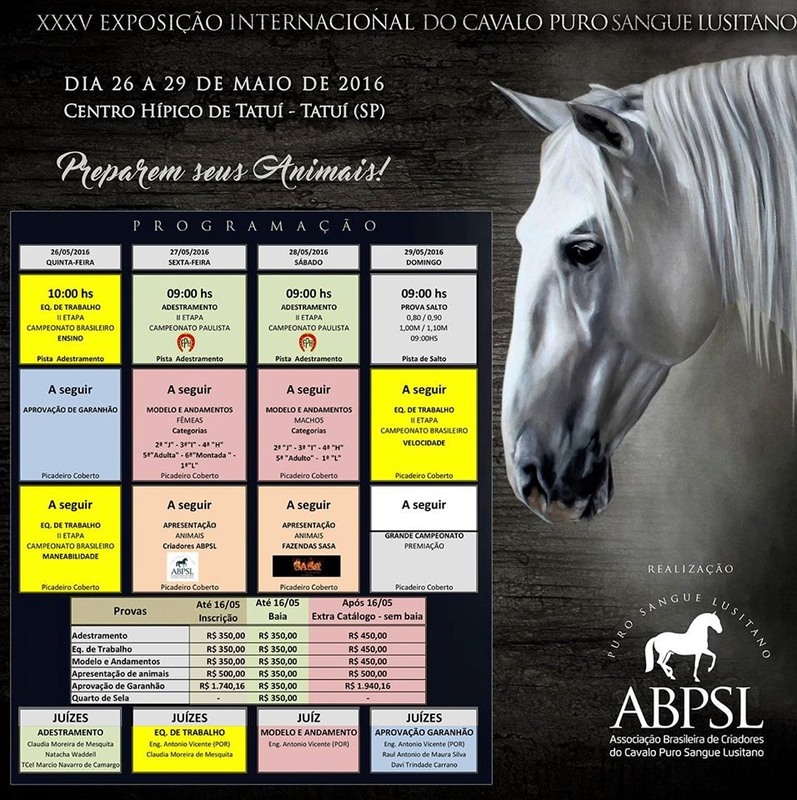 Participate in the Lusitano show to be held at Hípica Centaurus, in Tatuí, on May 26 to 29. We will be there with the horses Colírio das Mangueiras, Faraó das Mangueiras, Bilbo Interagro and Dorus Interagro with the trainers Sérgio Antunes and Márcio Almeida. They will compete in the Working Equitation categories of New Horses, Preliminary, Intermediary and Principal.